For example, in 1960, India reached 500 million people. Today, driven by multiple ancient religions that prohibit birth control, India suffers every kind of negative social and environmental consequence known to humanity with its 1.25 billion people. Even more catastrophic, it adds 16 million more people, net gain, annually. 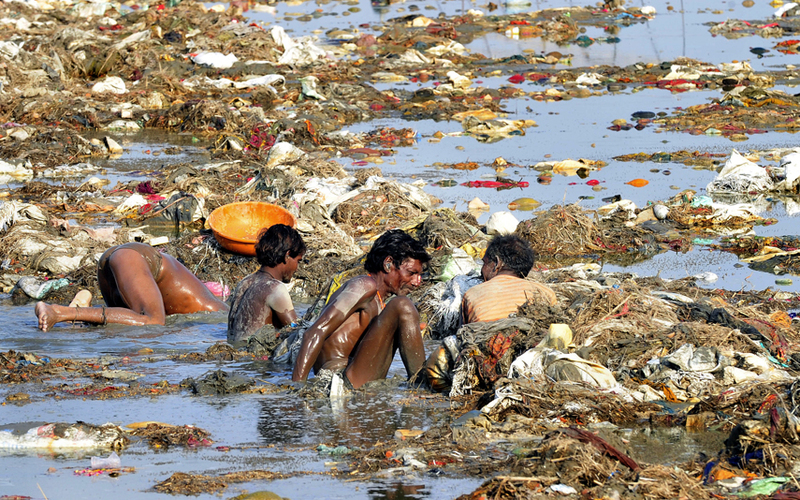 The heavily polluted Ganges River contains sewage, garbage and corpses. India’s major river, the Ganges, which I once rafted, flows into the ocean with the most polluted and contaminated waters known to humankind; no wildlife lives in the river. It features trillions of gallons of untreated sewage, industrial waste, hundreds of chemicals and millions of pieces of plastics – 24/7. That toxic conveyer belt creates a huge dead zone at the mouth of the Ganges. The malevolent waters hit the Indian Ocean poisoning marine life, avian life, reefs and the ocean floor. Within India, hundreds of millions of people lack a toilet. Therefore, they defecate and urinate on the land daily. In fact, the Indian Express reported that 60.4 percent of Indians lack a toilet. The level of stench in the cities, filth in the streets, and ground and river contamination by so many people injecting their waste into the environment is nearly incomprehensible. As India’s population accelerates, it becomes increasingly difficult to solve these problems. Disease and squalor top the “human misery index” beyond what most Americans can conceptualize. 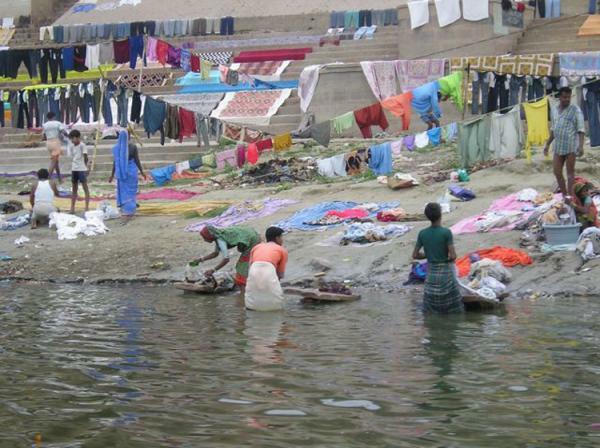 Washing clothing in the Ganges. India cannot create enough jobs for its people, as well as the classrooms and housing. As well, India lacks enough “arable land” to grow enough food, and has other water issues, including ground water depletion. In this dire situation, India’s leaders are not making population stabilization a priority, choosing intellectual denial of reality instead. When I visited in 1984, Indira Gandhi was attempting to bring family planning education to India, but she failed because of religious-cultural norms that overpowered reasoned thinking. What does all this growth and destruction of India mean for the U.S., Canada, Europe and Australia? Today, Indians race into America via chain-migration and the H-1B visa. According to Breitbart, 64 percent of all H-1B visas go to Indians. With India’s population expected to hit 1.55 billion by 2050, out-populating China, unless the U.S. shuts down the immigration machine, expect an even greater ramp up from India. So those are some of the reasons that Indians are racing to America at breakneck speed. If you think the refugee crisis facing Europe and America last year, and continuing this year, can’t get worse, think again. No amount of immigration and no amount of international aid with solve the problems of India until the country gets its numbers in check.